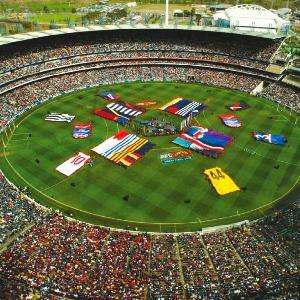 The AFL (Australian Football League) Grand Final is one of the most popular sporting events not only in Melbourne but in Autralia. 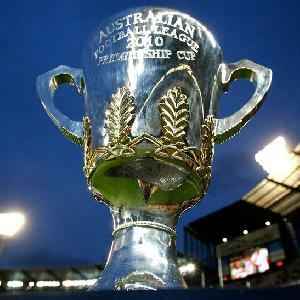 It is always held on the last Saturday in September and the 2 best football teams in the country play off for the Premiership Cup and bragging rights for the entire year. 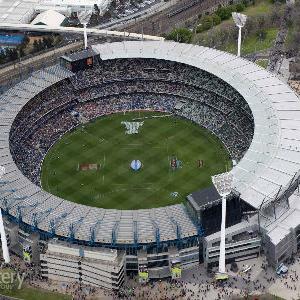 Due to the fact that club supports do not know until a week before the AFL Grand Final whether or not their team will be playing in the final the accommodation in and around the MCG does not tend to book up well in advance. 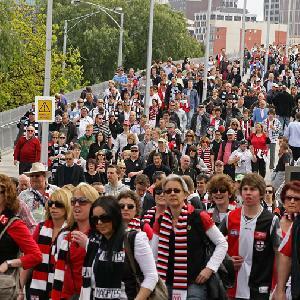 However, once the teams participating in the Grand Final are known the accommodation at hotels, motels and serviced apartments is quickly snapped up by passionate supporters. 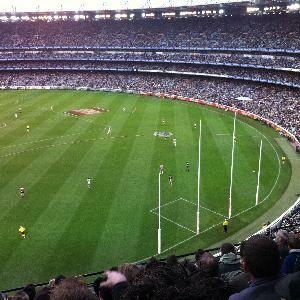 The serviced apartment accommodation provided by the BreakFree on Collins is ideally positioned in the heart of the Melbourne city centre and just a short walk to the MCG. Located on Collins Street the BreakFree on Collins has a selection of studio, one and two bedroom apartments for guests to choose from, all of which have state-of-the-art finishes and quality furnishings. Conveniently located in the quiet suburb if East Melbourne the City Edge Apartments East Melbourne provide budget conscious travellers with great self cotnained accommodation. These serviced apartments are ideally positioned close to all of Melbourne's major tourist attractions including the MCG, Melbourne Park Tennis Centre, Southbank, CBD and shops, restaurants and public transport. The Park Regis Griffin Apartments has a range of extremely spacious hotel rooms, 1 and 2 bedroom apartments that are situated onyl a few kilometres out of the city centre along the prominent St Kilda Road. Guests staying in this apartment accommodation can walk to Albert Park Lake or catch a tram to St Kilda beach, South Yarra shopping, the MCG, Federation Square and the Melbourne city centre. The Oaks on Lonsdale provides travellers with a selection of studio, 1, 2 and 3 bedroom apartments that have all the modern comforts to make you feel right at home. 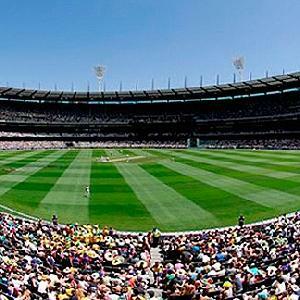 The Oaks on Lonsdale is situated close to parliament house, the government precinct and Melbourne Cricket Ground. 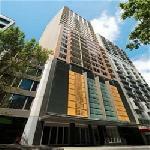 With a range of facilities and services the Oaks on Lonsdale will make your stay in Melbourne memorable yet affordable. Located in the cosmopolitan suburb of South Yarra the Punt Hill Grand Apartments are well positioned close to Chapel Street and Toorak Road with it's numerous sidewalk cafes, restaurants, shopping and bars, as well as being just one train stop from the MCG and two train stops from Federation Square, Southbank and the city centre.